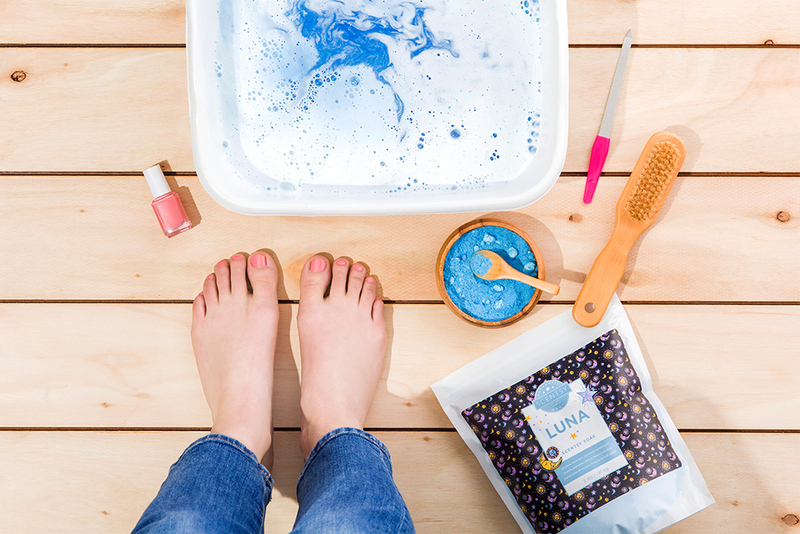 Host a DIY spa party! Hey, who doesn’t love a day of pampering? But spa treatments can add up quickly, and the sticker shock can all but erase the good vibes you worked (and paid) so hard to cultivate. Fortunately, you can treat yourself — and your friends! — to a spa-like experience at home for a fraction of the cost. Follow our 5 simple steps for an experience that puts the ahhhh in spa! There’s nothing quite like fragrance to capture the feel of a high-end spa. Add your favorite 100% Natural Scentsy Oil to your Scentsy Diffuser (you just can’t go wrong with Lavender!) and choose from 16 LED lighting options to really set the mood. There’s no need to spend a ton of money on a foot massager when a plain ol’ bucket or plastic tub will do. Fill it with warm water and a cup of new Scentsy Soak for a relaxing experience like no other. Available in six of your favorite fragrances, Scentsy Soak is formulated with pink Himalayan and Epsom salts, premium moisturizers and exclusive fragrances. What a way to start your spa day! If you’re inviting friends over, have everyone bring their favorite face masks to mix and match. While your feet are soaking, throw on a mask, and don’t forget to take selfies (those sheet masks that are so popular right now are HILARIOUS!). After soaking your feet, dry them off using towels that have been treated with Scentsy Laundry’s full-cycle fragrance. Seriously peeps, you won’t BELIEVE how good they smell — and feel. Once your feet are dry, apply some vitamin-infused, mega-moisturizing Scentsy Body Cream. And if manis are on the menu, be sure to wash your hands with Scentsy Body Hand Soap and lock in moisture using Scentsy Body Lotion or Scentsy Body Hand Cream before applying nail polish. Want to get the products mentioned in this post for free or half-price? Contact your Scentsy Consultant today and book a Scentsy party! Don’t have a Scentsy Consultant? Find one here. Separator image Posted in Our Products, Social Parties.